Peppa Pig Tickle and Giggle Peppa a cute & cuddly Peppa Pig responds magically to your touch. She giggles when you tickle her and if you tickle her more she giggles even more. Tickle & Giggle Peppa is a touch reactive toy. She has clever touch sensors to generate interaction and reactions. So when Peppa asks to be tickled, if you tickle her she will respond by laughing and giggling. The more you tickle her tummy, the more she will react to the touch and the more she will laugh. The Peppa Pig Tickle and Giggle Peppa has to be one of the toys that has made us giggle the most, the sensors within Peppa’s tummy make her react to your touch and your tickles which makes her in turn giggle. Giggling is infectious and no matter how much you try not to join in with the fun you can’t help but reach over and have a tickle yourself. Peppa Pig not only giggles but says asks you to tickle a little to the left amongst other phrases to interact with the little one who is playing with her. Requiring 3x AAA batteries, which are thankfully included it means that Peppa is ready to be tickled as soon as you get her out of the box. 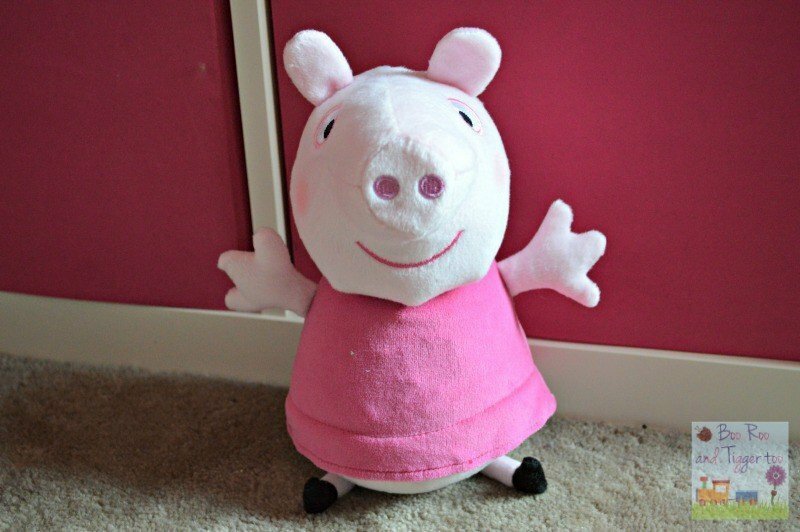 The addition of an on/off switch hidden in Peppa’s back allows Peppa to be used as a cuddly in bed or times when you don’t want her giggling very few minutes. Available from Amazon, Character Online and all other good toy retailers with a £14.99 RRP, which I feel is a little expensive, however any Peppa Pig fan especially little ones would love this. 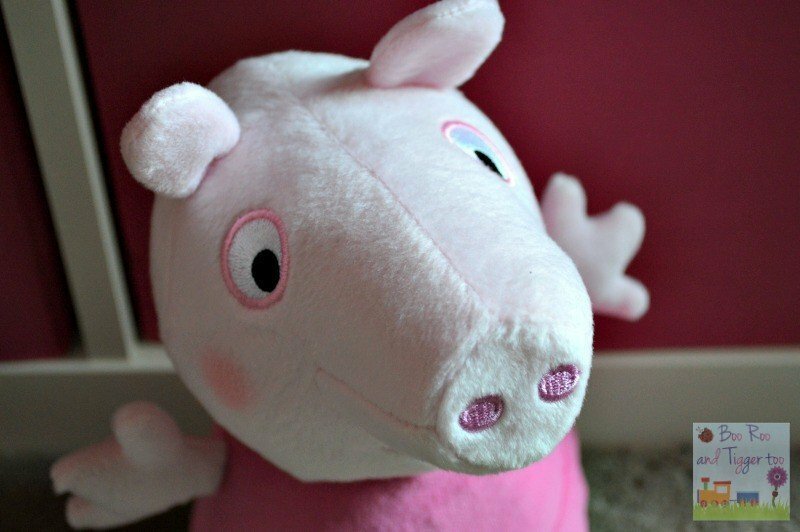 Disclosure: We received a Peppa Pig Tickle and Giggle Peppa FOC for the purpose of review.